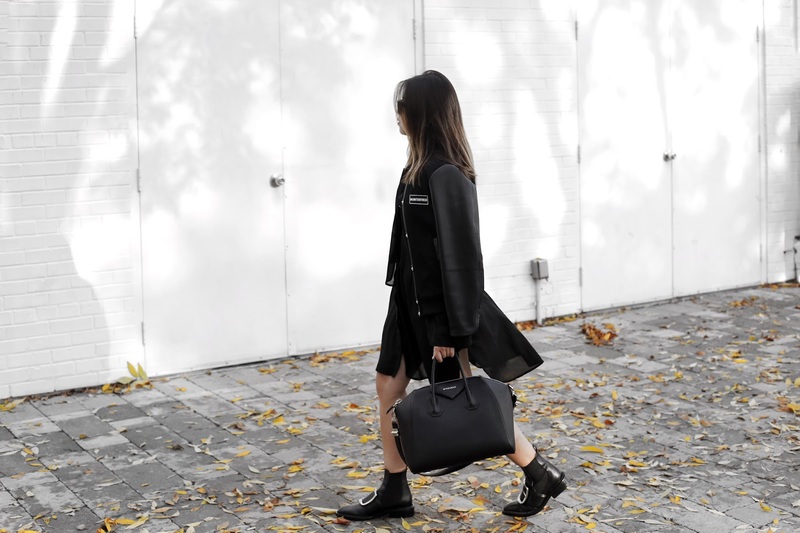 You can never have too many black jacket... or in this case a black bomber jacket. The bomber jacket trend has came back this year and I love how cool and edgy it instantly adds on to your everyday outfits, from jeans to slip dresses, and even to a simple shirt dress. 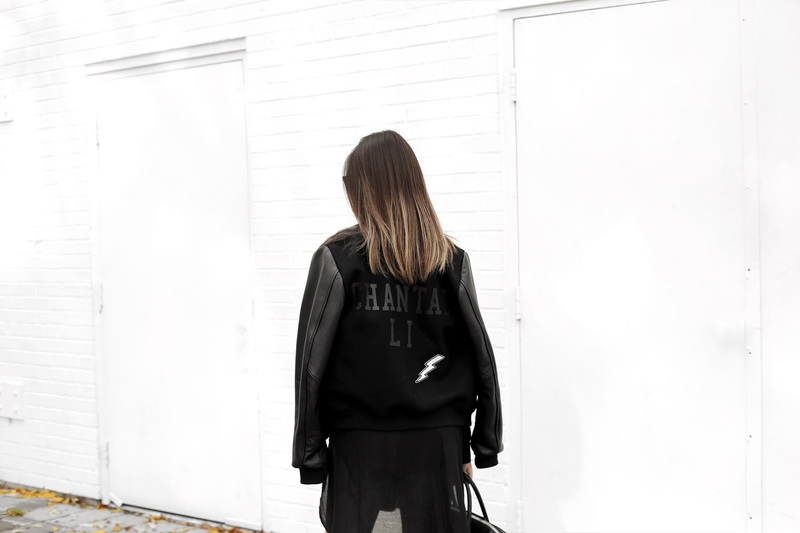 I recently partnered up with Mackage to celebrate their new store opening in Toronto Yorkdale Shopping Centre, and I was lucky enough to be able to customize this varsity jacket. With my statement #ALWAYSONTHEGO at the front and my name at the back, I cannot ask for more! Check out their new store in Yorkdale if you are in the neighbourhood and have your varsity jacket customized today! totally agree - you can never have enough black jackets or clothes at all! 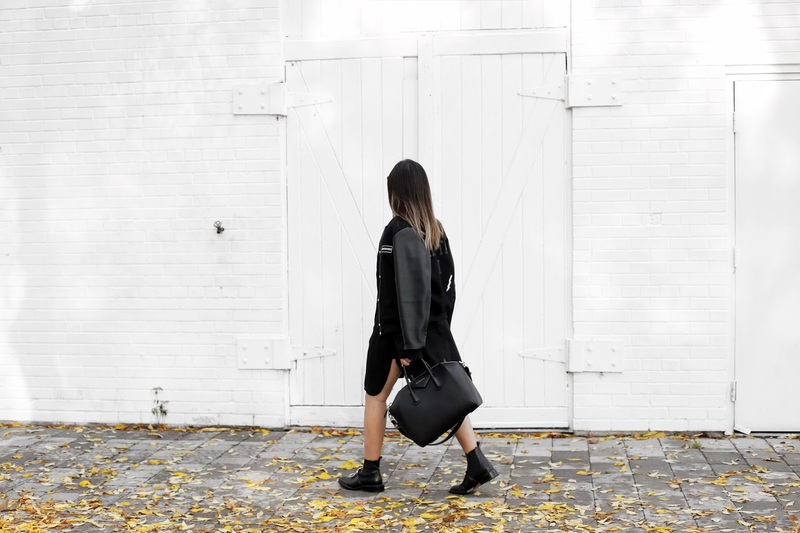 Absolutely in love with your monochrome look - great!